Conspicuity Tape - High Intensity Grade is designed to stand up to the rigors of the road and improve the visibility of trucks and trailers to approaching drivers. 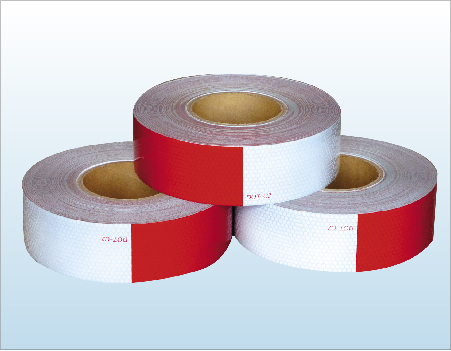 Although Conspicuity Tape is made for trucks and trailers, it is also very popular for non-DOT applications such as motorcycles, bikes and other vehicles due to its extreme brightness and aggressive adhesive. This tape is available in alternating red and white with DOT-C2 mark on the tape.